This marks Williams’ first official live album and the follow-up to his critically acclaimed 2018 sophomore LP, Make Way for Love. Williams spent the bulk of 2018 touring across the world in support of Make Way for Love, sharing the stage with his second family, The Yarra Brothers. Last year also saw Williams’ silver screen debut with a small role and performance in Bradley Cooper’s Oscar-nominated A Star is Born. Finally, after the whirlwind, Williams returned home to New Zealand, performing two sold-out nights at the Auckland Town Hall as a fitting cap to the world tour. Live at Auckland Town Hall captures an artist both early enough in his career to be humbled by the occasion, and developed enough to present a stunning catalogue of music and quality of performance. 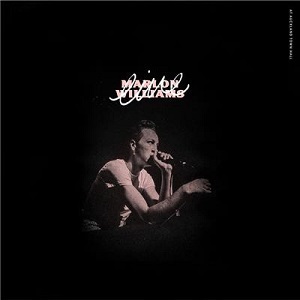 Live at Auckland Town Hall feels sure to enter the canon of great live albums in the years to come, a dazzling snapshot of Marlon Williams’ musical singularity. Live at Auckland Town Hall is available from all good music sources. Solo Series - Aviva Endean from Australian Art Orchestra on Vimeo.